Hey You – New Yorkers, New Jersey Folks! Also, click on the image to go to their FB page – become their friend! MTE #17 has one of my favorite covers. I always thought it was hugely powerful! The crazy thing is – this is the issue that I have in the worst condition. But, it’s still really great to have! This MTE reprints issues #121, #134, #150 and #158. Issue #150 has one of the saddest endings ever. 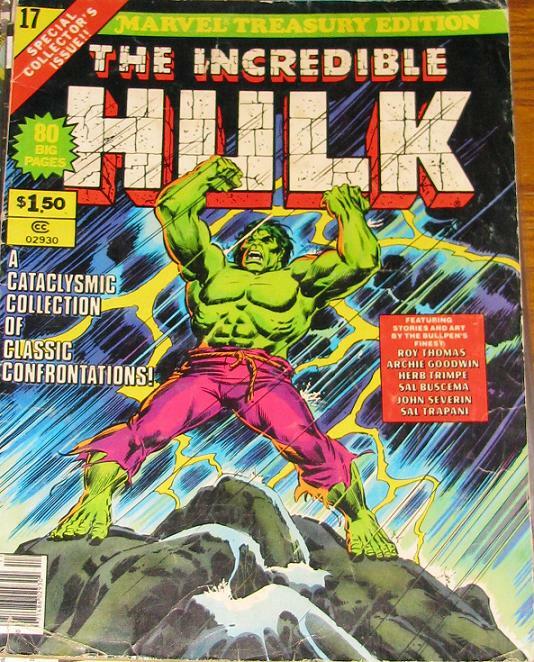 The Hulk reverts back into Bruce Banner after Havock controls the Hulk – Betty comes to Bruce’s side to see if he’s alright. But Bruce, in an almost unconscious state, calls Betty”Jarella, my love”. Betty has no idea what it means – be everyone reading the issue has their heart broken for Betty… Another collection of great comics! The Defenders are, IMO, one of the best and most entertaining Marvel groups. I wonder if they could ever create a movie out of this super team? 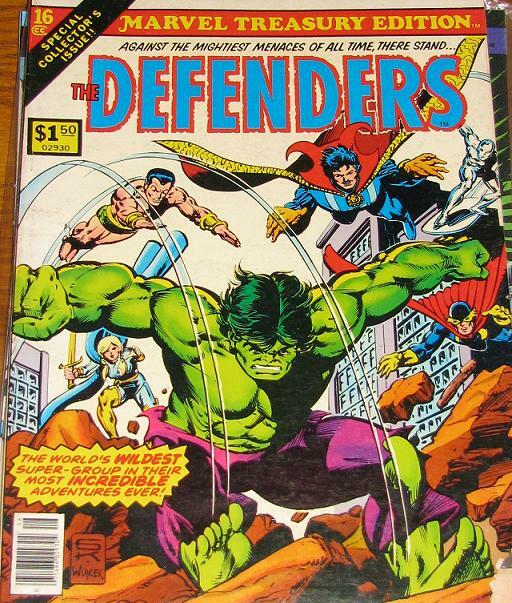 The amazing thing about the Defenders is that they actually kept the Hulk in the group – and not always voluntarily. 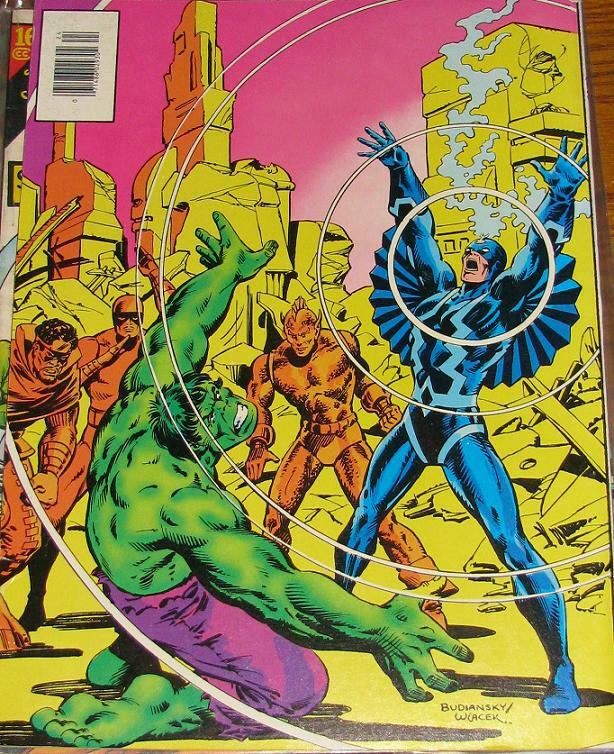 This MTE covers some of the more important issues – it reprints the first appearance of the Defenders – Marvel Feature Presents #1 – but also The Defenders #4 (Valkyrie joins the Defenders) and Defenders #13 & 14. 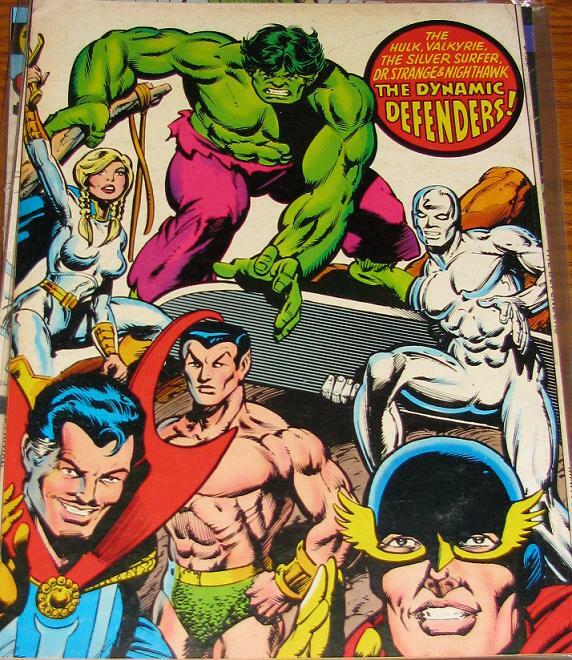 You have to love the shot of the Defenders on the back cover – particularly the Surfer posing like he’s in a JC Penny catalog. 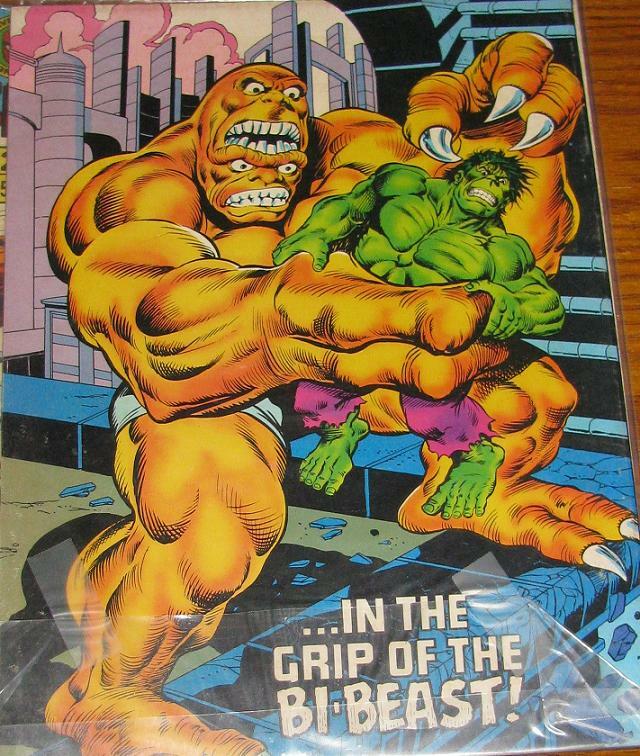 The Trimpe drawn Back Cover! Hulk WILL Be In the Avengers! 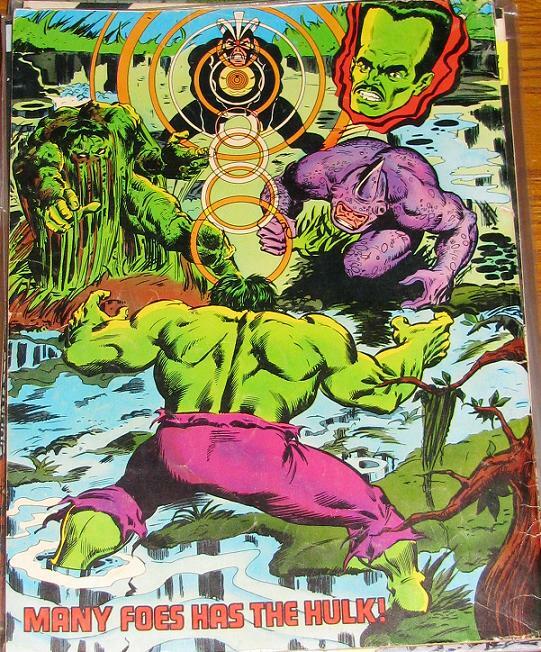 Marvel Treasury Editions #26 features some of my favorite Hulk stories – the Harpy, one of the greatest Hulk villains – only because it was Betty Ross – and the Bi-Beast! His early appearances were freakin’ fabulous! 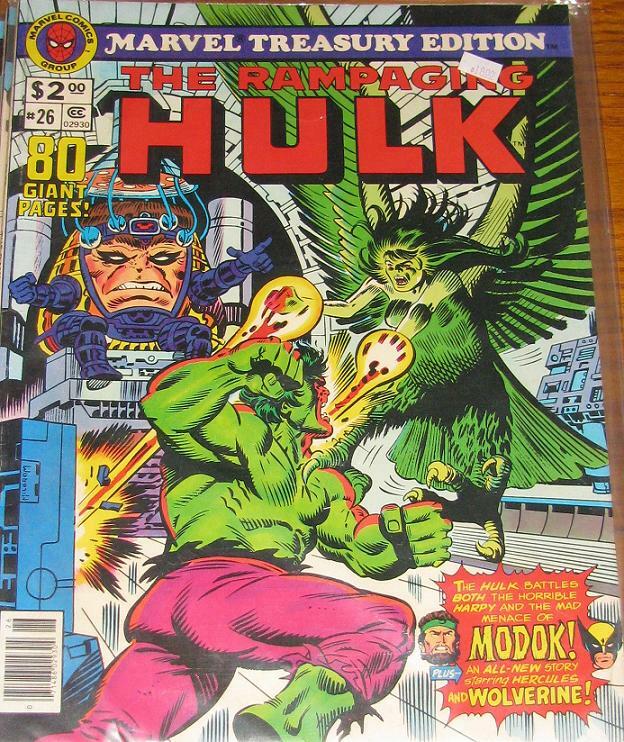 Not to mention that you get to see the Trimpe artwork Huge and in your face! 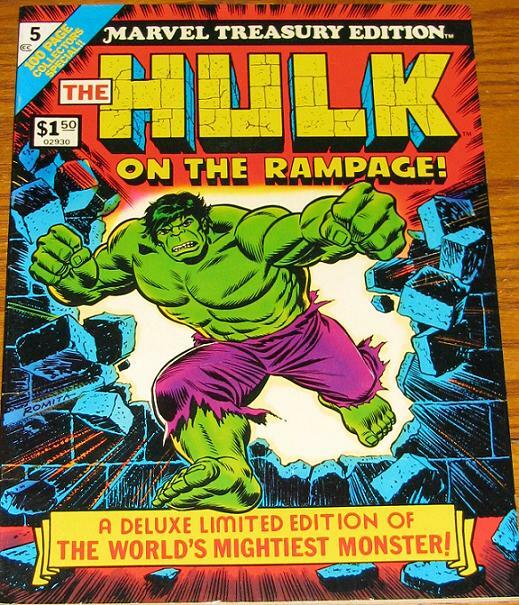 Out of all the MTE – this is the one that EVERY Hulk fan should have! I really wish these were still being released today! 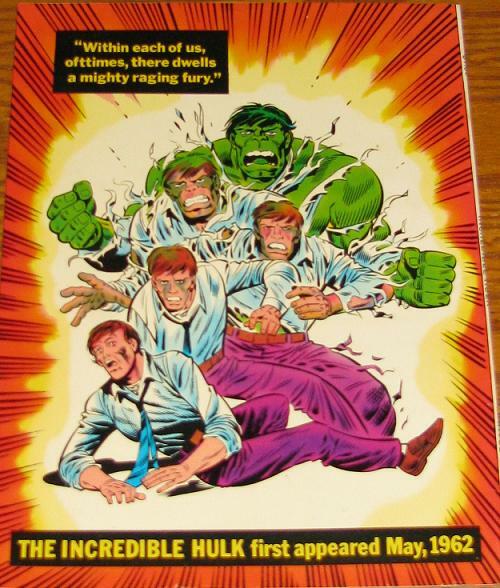 A lot of them have reprints of classic Comics – but some of them had original stories! 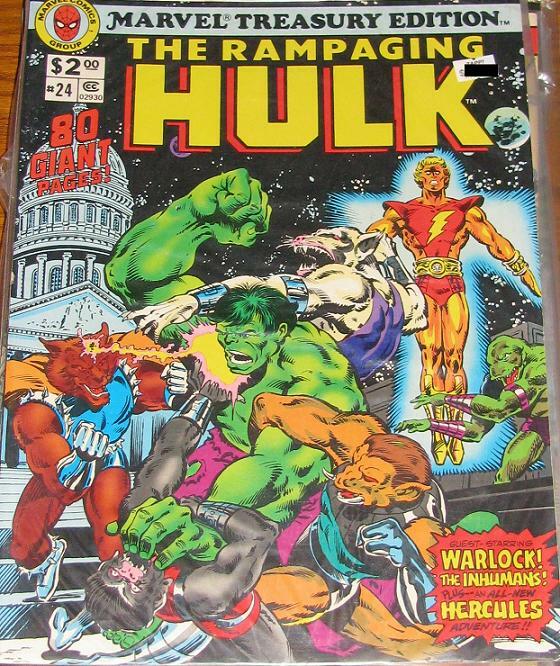 This one here reprints issues #175-#178 (Death of Warlock). One of the greatest things about issues like this is seeing the classic art on HUGE pages – each panel is almost as big as the original comics! I have found quite a few of these and will showcase them this week and the next – so get ready and enjoy!